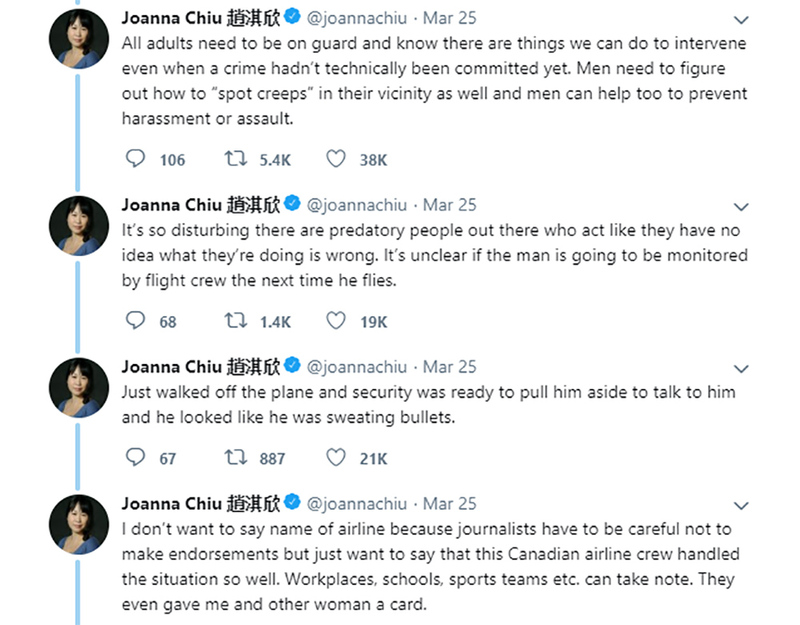 Canadian Journalist Joanna Chiu was on a flight to Vancouver when she noticed something off the track. 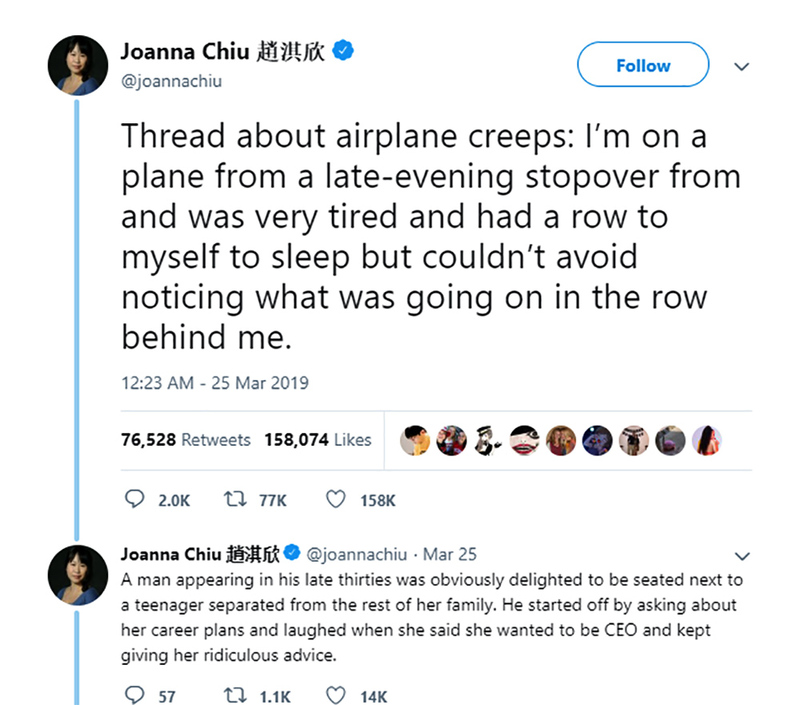 The plane was relatively empty and a man sitting behind her had kickstarted a conversation with a teenager and was trying to be a little too comfortable with her. She smelt something fishy and wasn't sure about the way in which he spoke to the girl. Joanna had plans to sleep but could not after sensing something off. In a series of tweets, she narrated the scenario and how it concluded. Her tweets have gone viral kickstarting the discussion on public safety of women. Describing the incident, she writes, "A man appearing in his late thirties was obviously delighted to be seated next to a teenager separated from the rest of her family. He started off by asking about her career plans and laughed when she said she wanted to be CEO and kept giving her ridiculous advice." He even asked her out on a date which the girl kept ignoring. Sensing that the conversation was not headed in the right direction, Joanna decided to intervene. She writes, "At this point, I had to stay awake in case anything went further than that." Russian Naked Man Tries to Board Plane at Moscow Airport, Claiming to be More Aerodynamic. The man then leaned close to her and asked for a 'dirty' photo. She writes, "It did, and as soon as he asked for a 'dirty' photo while leaning close to her I turned around and rage-whispered exactly what I thought of that and he didn’t say anything back and went off to use the washroom." WATCH VIRAL VIDEO: Drunk Passenger Kicked Out of Flight for Spitting on Child, Because She Didn’t Want to Sit Next to a ‘F*****g 3-Year-Old’. Another woman sitting behind the girl appeared equally concerned about the situation. When the man was gone, she told Joanna that "she had the right to change seats and that she was just behind her if she needed any help". 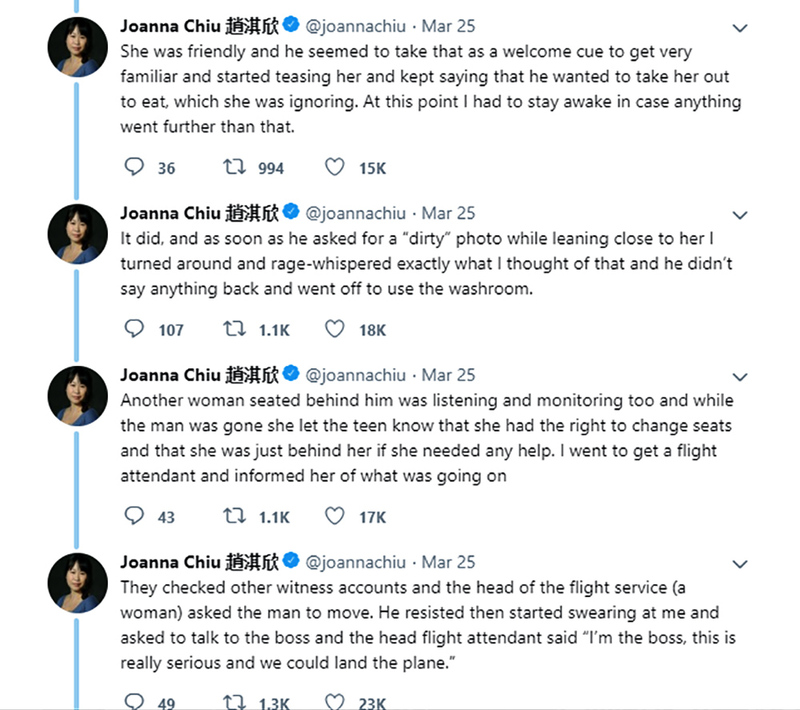 The journalist then informed the flight attendant who checked witness accounts and the "head of the flight service (a woman) asked the man to move." When the man began swearing at Joanna, the flight attendant said, "I'm the boss, this is really serious and we could land the plane." He eventually gave up and move to a different seat. The flight attendants filed a report on the information given by the girl. 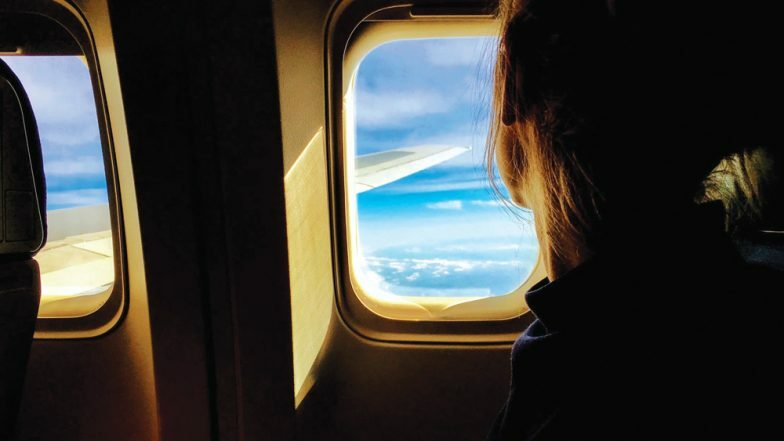 Joanna further writes, "They handled the situation well as far as I could tell, and it's good to know other adult women passengers on the plane were paying attention and taking action while trying not to embarrass the teen." Male passenger on Air France Flight Strips Down to Underwear; Shocked Co-Passenger Tweets Live Pictures. She adds, "But none of the male passengers seemed to show they noticed what was going on. Maybe fellow women are more likely to pick up on warning signs early on in the conversation because we used to be teenage girls too?" But none of the male passengers seemed to show they noticed what was going on. Maybe fellow women are more likely to pick up on warning signs early on in the conversation because we used to be teenage girls too?" Joanna also wrote about similar experiences she encountered while travelling alone for the first time. She further writes, "I’m sure the young woman he targeted will be CEO someday or some other position of influence. She was in the middle of studying when he started harassing her. It’s sad these experiences are extremely common." Air India Passenger Strips Mid-Air on Flight Returning From Dubai, Deboarded in Lucknow; Watch Video. The journalist's tweets were quick to go viral on social media with women narrating similar incidents they experienced. Internet users praised the courage of Joanna and other women in the plane who stood for a helpless girl. The tweets have begun conversations on how to intervene in such incidents safely in public spaces. Guides on dealing with such situations soon began to trend on social media.